“Not only are you responsible for your life, but doing the best at this moment puts you in the best place for the next moment.” Oprah Winfrey. Tough love is an expression used to describe treating someone sternly, or perhaps even harshly, with the intention of helping that person in the long run. For example, a coach who likes his players can be said to be practicing tough love by training them hard and being strict on them. Ultimately, he wants them to be better players and win. You can exercise tough love in a relationship with someone, adult or child, or with yourself. The latter usually requires self-reflection and meditation, so that you can identify areas in which you are acting out of control and against your judgment. Tough love, therefore, becomes about letting go of things we believe we want, and instead focus on what we really need. Tough love calls for us to work hard and forgo some things now for even greater benefits in the future. In essence, it’s all about delayed gratification instead of immediate gratification. Personal finance is one area most of us need to start practicing tough love. If we sort out our finances today, we set ourselves up for success later. On the other hand, succumbing to our wants today might lead us to debt which will limit us greatly in the future. How then do you practice tough love when it comes to your personal finance? Here are four questions you should consider, or think through with someone else, to help you or them put the issue of finances in perspective, and hence apply tough love. How prepared are you for emergencies? Here, you need to honestly assess whether the proverbial extra straw could break the camel’s back. In other words, what would happen if you got hit with a big bill for an unexpected expense? If you are on a sound financial footing, you could be able to bear your daily expenses and still afford to settle an unplanned but necessary bill, such as an emergency medical situation. On the other hand, if one big emergency expense would throw your life into disarray, then it is time to take a closer look at your lifestyle. How many months can you go without a paycheck? What would happen if you missed your next paycheck? Could you get evicted from your house? How much longer will you be able to afford your groceries and other monthly obligations? You need to be able to sustain your lifestyle for a few months if your salary stops coming. 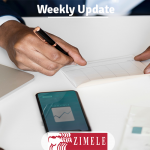 Having three to six months’ worth of income in an interest-earning emergency fund like the Zimele Savings Plan is a great way to cushion yourself in case your paycheck comes to a halt. What is the status of your credit? Another way to gauge your financial health is to consider your creditworthiness. The ability to be able to obtain credit is a good thing, though, for most people, the problem comes in when they use this alternative way too often. If you find that you have to take up soft loans often or cannot get a loan in some mobile apps, chances are that what you owe is not in line with what you earn and save. To reverse the equation, you need to cut your expenses in order to save more and pay off your debts. How much money are you able to save and invest? How much is left after you have settled your ongoing expenses and catered for any emergencies? And do you have a Savings Plan in which to put away this surplus cash? The amount of money you are able to save and invest determines your ability to stay on the positive side of your personal balance sheet in the long-term. If you find that you are not able to save and invest regularly, make an effort to control your spending. Having a budget can help you to take control of your spending. By drawing up one, you will be able to evaluate your cash flow and eventually reduce your dependence on debt. Tough love is all about resisting smaller but immediate rewards in order to receive a larger and more enduring reward later. Prudent financial planning calls for this kind of attitude. While it is important to practice self-care, it is important to note that thinking about our financial well-being in the future is also a form of self-care. It is self-love too. A financial check-up from time to time will help you identify opportunities to build an emergency fund and increase your savings and investments. If you do this often and keep a budget, your finances will be in order in no time and your financial future will be brighter than ever.